Ontario standardbred owner Brad Grant of Milton, ON said it will be next-to-impossible for him to top 2018, so he will simply have to cherish the memories for as long as possible. Grant started the year by winning three O’Brien Awards celebrating the best in Canadian harness racing, then went out and won the Hambletonian with his trotting filly, Atlanta, two legs of the pacing Triple Crown with his colt Stay Hungry and was inducted into the Milton Sports Hall of Fame in November for his time owning and operating the Milton Merchants Junior Hockey Club. Grant purchased the Merchants in 1986 after the club won just five games the previous season and was at risk of folding. He sold the team in 2001, but not before the team won four division titles, three league championships and a provincial title. Grant said winning the Hambletonian and being inducted into the Milton Sports Hall of Fame were “1 and 1A — a dead heat” on his list of sweetest memories from 2018. He said the induction ceremony was particularly moving because 32 former Merchants players showed up at the banquet to see him enshrined. “Seeing the kids that played for me and how they’ve done in their personal lives… that was big,” Grant said. “When I owned the hockey club, it was all about the players being not only hockey players, but developing their life skills and being better people. Atlanta certainly knew what it took when she defeated a group of the best sophomore male trotters in the world in August to claim the $1 million Hambletonian at the Meadowlands Racetrack in New Jersey, making her the first filly in 21 years to accomplish that feat. Atlanta is trained and owned, in part, by Rick Zeron of Oakville, ON and was driven to victory by his son, Scott Zeron for partners than included Grant, fellow Ontarian Bill Holland of Niagara-On-The-Lake, ON, as well as Americans Howard Taylor and Michelle and Albert Crawford. “The Hambletonian was outstanding. To win the Hambletonian with the filly and to be a part of Rick and Scott Zeron and the Zeron team and (assistant trainer) Ernie (Hendry)… that was big. The same day to win the Cane Pace with Stay Hungry, in the fashion that he did it, was outstanding. I would say, if I had to pick a day, that was the day,” Grant said. The Cane Pace was the first leg of the pacing Triple Crown. Stay Hungry also won the second leg, the Messenger, defeating Ontario-Sired superstar Jimmy Freight at Yonkers Raceway. “Jimmy Freight was a beast all year and we weren’t sure how Stay Hungry would do in there on a half-mile track, so to win that one was big, too,” Grant said. 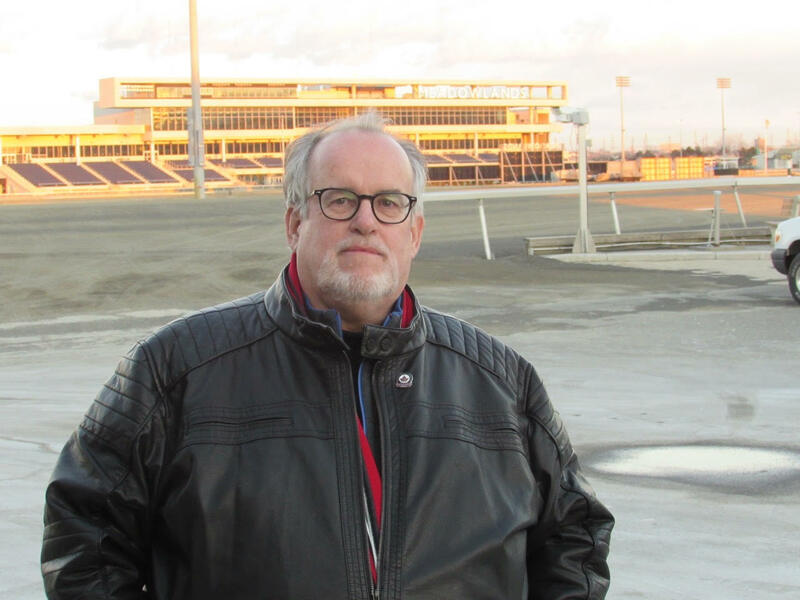 Grant, who is the chairman of the Ontario Hockey Association (OHA), was also key in helping raise more than $10,000 at Woodbine Mohawk Park by donating the April earnings from his gelded pacer named Humboldt to the Saskatchewan Junior Hockey League (SJHL) Player Assistance Program in the wake of the tragic Humboldt Broncos bus crash that claimed the lives of 16. Grant said he has a lot of people to thank for the terrific year he’s had. Grant, the leading standardbred owner on the Woodbine Entertainment Group circuit, started the year by winning O’Brien Awards for his horses Stay Hungry (Canada’s 2-year-old pacing colt of the year), Bettors Up (3-year-old pacing filly of the year) and Sandbetweenurtoes (older pacing mare of the year). It was the first time Grant has won an O’Brien Award despite a long career owning horses. Though, he was present the night in 2001 when his father — the late Canadian Horse Racing Hall of Famer John Grant — collected O’Brien Awards when Ontario-based stallion Bettors Delight was named Canada’s Horse of the Year and 3-year-old pacing colt of the year. Brad said both his father and Bettors Delight — the world’s richest pacing stallion with progeny earnings exceeding $300 million — came to mind the night of his Milton Sports Hall of Fame induction when a former coach of the Merchants spoke on behalf of the team.